The prosecution and defense teams presented their final statements last week in the International Criminal Court’s first case to go to trial, The Prosecutor v. Thomas Lubanga Dyilo, representing a landmark for this unprecedented institution of international justice. Lubanga has maintained his innocence since proceedings began in 2003. Addressing the judges last week, he stated: “Throughout the proceedings before this majestic court, I have been unable to recognize myself in the criminal acts attributed to me.” Refuting the prosecution’s accusations, Lubanga described his efforts to halt the recruitment of minors, arguing that he issued orders to his commanders to demobilize children. Weathering much turbulence and criticism, the case proceeded slowly and included 220 hearings, participation by 123 victims, and more than 53,000 pages of filings. Procedural issues arose at several key points. In June 2008, the judges suspended the proceedings and called for Lubanga’s release after the prosecution failed to disclose information, some of which might have supported Lubanga’s innocent plea, in an effort to protect the confidentiality of those who provided the information. Some critics have pointed to the sluggish pace of the trial period, which began in January 2009 and has taken over two years to conclude. While these issues have indeed spurred much debate on the ICC’s effectiveness, they reflect the court’s highly cautious consideration of due process and fair trial requirements – essential factors in establishing the nascent court’s legitimacy in its exceptionally politicized environment. As the first completed attempt at building a body of international jurisprudence along the Rome Statute, the case’s complications and successes will provide lessons to help shape the structure of future trials, especially regarding victim and witness protection and information-sharing. The international audience now awaits the verdict that will most likely be declared in early 2012. The implications of this trial will be felt at several levels. If Lubanga is convicted, the court can sentence him to a prison term and order his property taken to be paid as reparation to victims. If Lubanga is found not guilty, he will be released and retain the presumption of innocence http://www.lubangatrial.org/qa/#nine . Whatever the verdict, the Congo will remain in the ICC’s spotlight. Currently, an outstanding arrest warrant remains for Bosco Ntaganda, who served as a senior commander of Lubanga’s group, and legal proceedings are underway for Germain Katanga and Mathieu Ngudjolo Chui, two Congolese alleged former militia leaders. Also, while sitting in his ICC jail cell in The Hague and charged with crimes against humanity and war crimes, former Congolese vice president Jean-Pierre Bemba is busy organizing his election campaign for the upcoming presidential elections in November. The end of the trial comes at a crucial moment for the world court. With the outstanding arrest warrants for Sudanese President Bashir, Muammar Qaddafi and members of the nearly-disposed Libyan leader’s entourage, the ICC’s expanding spotlight towards countries such as Syria, Cote d’Ivoire, and Colombia, and the election of a new chief prosecutor in 2012, the court is gaining prominence in the international community’s repertoire for responding to mass violence. 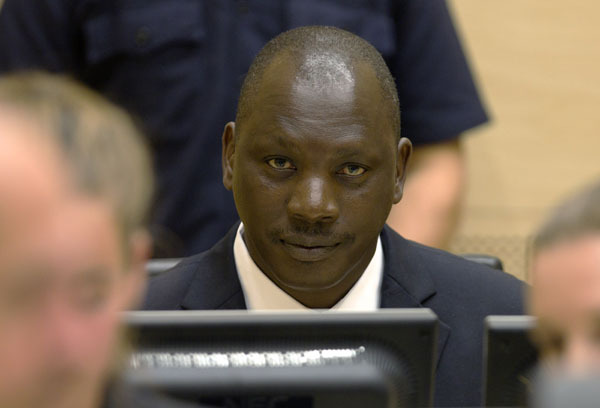 Whatever the outcome of the judges’ deliberation, the conclusion of the Lubanga trial already heralds a milestone in the ICC’s ambitious project of challenging the notion that prominent leaders, accused of the most heinous crimes, are untouchable.